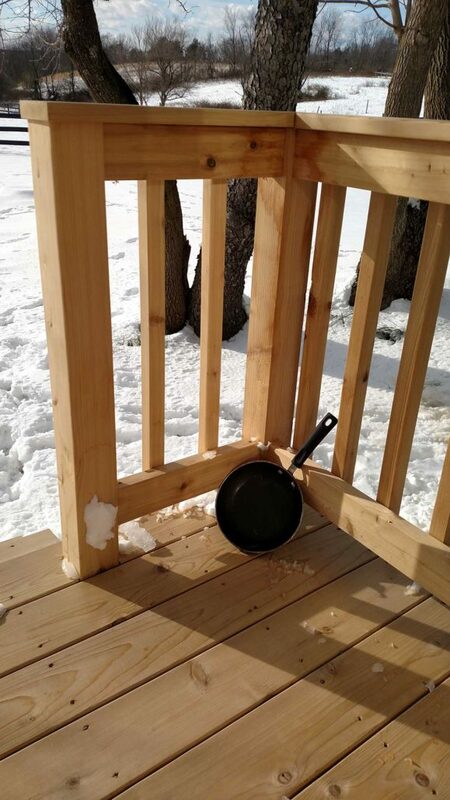 I shoveled my tiny front porch with my frying pan. This should sound crazy, but it seemed perfectly normal. I am living in my tiny house; I named it Chickadee. The bird themed name seemed a natural choice coming from a Robin. Now you see my double doors open out, a wonderful, space saving design decision that has just one drawback, snow. I love snow days. Not a bunch of them but just one or two each winter. It is my down time. 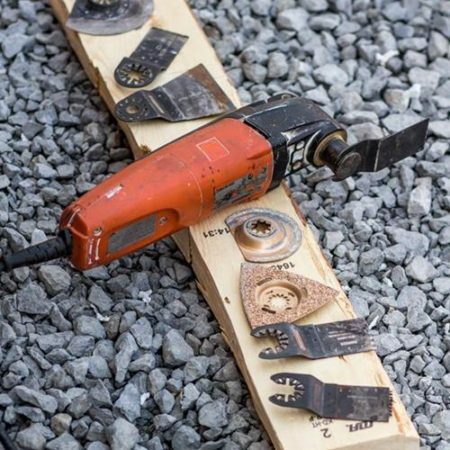 I am a builder and I spend almost every day outdoors. That is exactly how I choose to live. I wouldn’t have it any other way. But every once in awhile I like to have a day or two that I can read a book or even work on work stuff inside while it is still light out. I am a very logical and practical person, so if it is light out I feel as though I should be out there working on something. Or riding my horse, or something that takes advantage of the ability to be outdoors. Now the snow doesn’t preclude me from being outside, I actually like to be out in it sometimes. But when it is snowy and blowing and so cold that even the dogs don’t want to go out, I turn into a house cat. I want to be curled up in a warm house with a book or drawing paper. But I have out-swing doors. The last thing I wanted to do was bundle up in a bunch of outdoor wear and trek out to my shop and get a shovel and trek back and spend 2 seconds shoveling the snow off my tiny porch. So as I was finishing the eggs I had prepared an idea came to me. It may have stemmed from the memory of my mom “mowing” our tiny condo backyard with her scissors. She could not afford a mower and she enjoyed a manicured lawn so she created a space with what she had. She was also logical and practical. I had a frying pan. I knew I would not have to bundle up to just step out the door and quickly pan the snow off the porch, but I did replace my slippers with some boots. It took about 2 minutes and the porch was cleared and as an added benefit, the frying pan was clean too. Today the snow has ceased and the porch is clear, but the wind is still blowing. Surely one more day inside is going to be alright. https://build-tiny.com/wp-content/uploads/2017/03/frying_pan_snow.jpg 2000 1125 Robin Hayes https://build-tiny.com/wp-content/uploads/2016/10/banner2-1.png Robin Hayes2017-03-15 12:57:102017-04-12 16:33:58Unconventional multi-use? 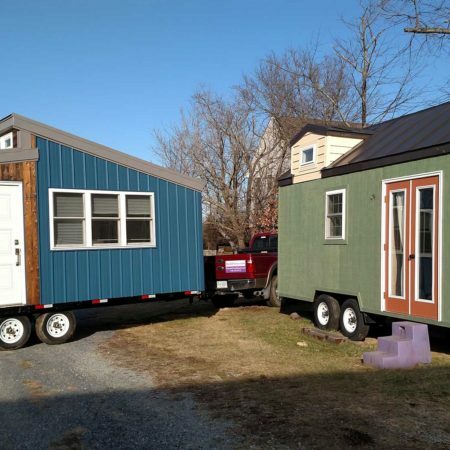 Build Tiny is a tiny house company located in Berryville, Virginia (Clarke County, VA). We provide tiny homes across the U.S. including: the East Coast from Maine down to Maryland, our home state of Virginia, locally to us (Winchester, Strasburg, Front Royal and Frederick County, MD, Frederick County VA, and Warren County, VA), Washington DC (yes, even the U.S. Capitol big city! ), North Carolina, South Carolina, Georgia, Florida. Mid-West states from points east all the way to Texas and North to Montana, and the West Coast. If your state isn’t listed, let us know!